In part 1 and part 2 of our Toilet Talk series, Honolulu’s emergency plumbers discussed how toilets work, and signs that it’s time for a new toilet. In part 3 of the series, we’ll give you a cheat sheet to a toilet tune-up—ideas and strategies that can extend the life of your toilet, and keep things flushing. These tips are so easy, DIYers of any skill level can handle them! Does your toilet flush when nobody is around? 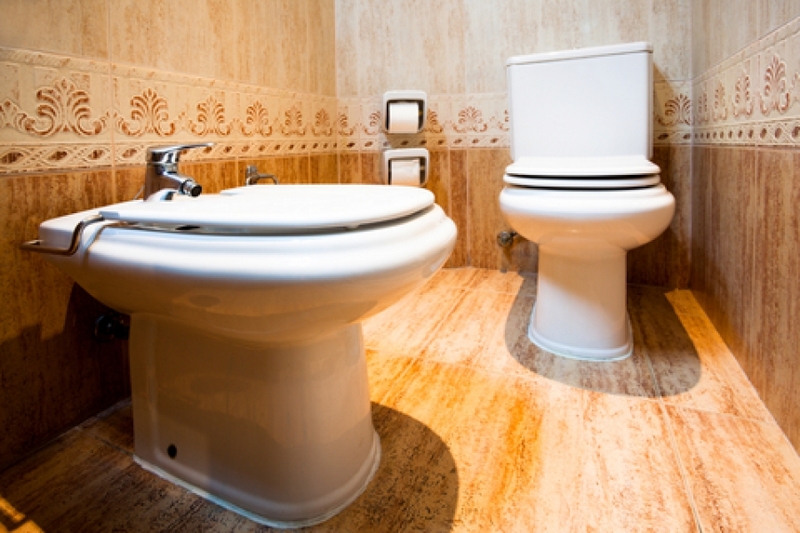 While some people might chalk it up to a possessed toilet or a ghost with bowel issues, chances are that your toilet flapper is damaged or broken. Flappers are very inexpensive, and can be replaced in three simple steps. First, disconnect the chain that attaches the flapper and the toilet handle, and remove the old flapper. Next, check that the flapper valve is smooth and intact so you can have a proper seal with your new flapper. Finally, place the new flapper and attach the chain back to your toilet handle. Your toilet handle is usually fastened to the wall of your toilet by a single nut, which can come loose over time. Tighten the nut if necessary, and check to see if the chain between the handle and the flapper is structurally sound and not too loose or too tight. New toilet handles and chains are very inexpensive, and can be purchased at your local hardware or plumbing supply store. If your handle and chain are due for a replacement, just pull the old ones out, and put the new ones in. It’s really that easy. If you’re experiencing leaks on the floor near the base of your toilet, there’s a very good chance your wax ring is broken or deteriorating. This is another DIY project that can be solved in a few simple steps. First, turn off the water in your home, and flush your toilet a few times to remove water from your toilet bowl. Wait for your toilet to dry out a bit before continuing. Next, use large pliers to disconnect your water supply pipe from the bottom of your toilet. Use a wrench to loosen the bolts that hold your toilet down at the base. Next, lift the toilet upwards to expose the wax ring. Remove the wax ring, rinse it off, and take it to the hardware store with you so you can buy an appropriately sized replacement ring; this should only cost you a few bucks. Finally, place the new wax ring, reattach the water supply, have someone sit on the toilet to hold it in proper position, then bolt it back down. Your fill valve, also known as the ballcock, is one of the most important mechanical pieces of your toilet. If it’s not working properly, you could experience weak flushing, no flushing, and even frequent toilet overflows. These issues could be caused by a broken or damaged fill valve, but it’s more likely that these issues are caused by an improperly placed fill valve. To fix these issues, take off your toilet lid, and watch your fill valve do its work. The fill valve should stop the flow of water right before it reaches the overflow tube. Adjust your fill valve accordingly to make sure your toilet isn’t overflowing or underflowing. Take a look around your bowl, and remove any buildup that is obstructing the main channel or the rim channels underneath the rim of your toilet. Blockages of the rim channels are very common, especially if you’re not thoroughly cleaning underneath the rim with your toilet brush. The success of your toilet bowl is also based upon what you put into it—so avoid flushing baby wipes, cotton balls, paper towels, disinfecting wipes, or basically anything that isn’t toilet paper. If you have children, educate them on things they shouldn’t flush down the toilet. If there’s one thing our emergency plumbers know too much about, it’s the ways kids can clog a toilet and flood an entire bathroom space. Stuffed animals, action figures, household items, you name it—if a kid can reach it, there’s a possibility they will flush it down the toilet out of curiosity or the need for entertainment. Cleaning your toilet is critical for keeping it clean, functional, and germ-free, so it’s important that you clean your toilet thoroughly and regularly. You don’t need harsh and toxic chemicals to give your toilet a good cleaning—all you need are some rubber gloves, a two-liter bottle of Coca Cola, and some vinegar! First, carefully pour some Coke under the rim of your toilet bowl, letting it stick to the surface and soak into the grime of your rim channel. Continue to pour the Coke into the toilet, working downwards from the rim to the bowl. Save some Coke for later. Grab a toilet brush, and begin to scrub under the rim—don’t stop until every bit of gunk is gone. Finally, apply Coke to your rim channel once more, and pour your remaining Coke straight into the toilet bowl so your toilet water scumline is completely submerged. Close your toilet lid, and let the Coke do its shockingly effective work for about a half hour. Next, open your toilet bowl, and spray a vinegar-water blend on all inner surfaces of the toilet. Follow up with another scrub of your toilet bowl, then flush the whole mess out of sight and out of mind. If this process doesn’t clean your toilet, you might need to loosen things up before you really get to cleaning. Boil a pot of hot water, and pour it directly into your toilet bowl, filling it up as high as you can. Close the bowl and let the boiling water sit for a half hour or so. The heat will loosen months (or sadly, years) of gunk, allowing you to scrub this clean much more efficiently. If you’ve followed these steps and your toilet is still having trouble, it’s time to call the professionals. That’s where Emergency Plumbing & Solar can help! It’s better to call us sooner rather than later to fix your toilet issues—you’d rather be in need of one of our regular plumbers instead of one emergency plumbers, wouldn’t you? No matter the situation, we can take care of your toilet problems. Schedule an appointment, or call us for help with your plumbing emergencies today! Toilet Talk, Part 3: Toilet Tune-up Time Overall rating: 5 out of 5 based on 10 reviews.